On October 14th, This past October, Joy House, came together with 300 Haitian women and American women in Gressier, Haiti to discuss the various names of God. 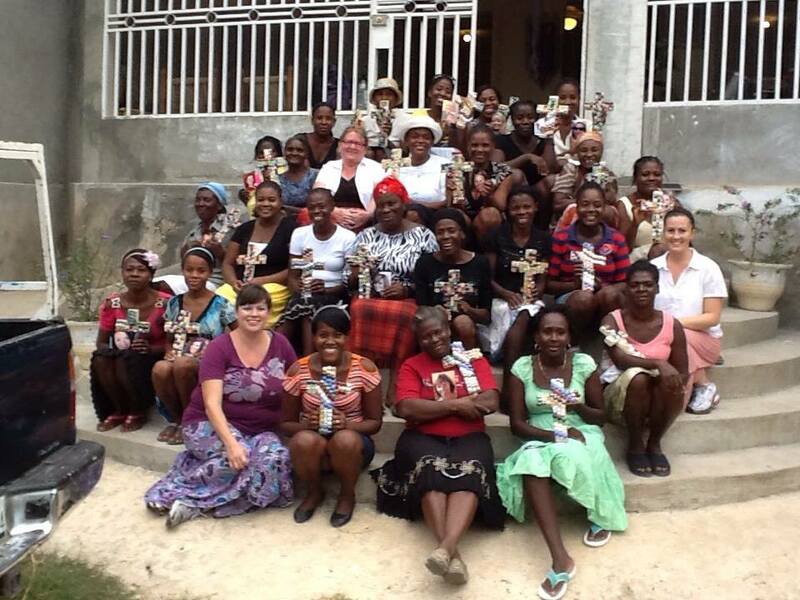 In addition to discussing the names of God the Haitian women were also mentored on a one-on-one basis. The goal of the Women's conference is to bring a greater awareness of God in the daily lives of these women. It is only through his great power and love that they are able to overcome the adversity that they experience in their daily lives. If you are unable to go to Haiti at this time you can still be a part by praying for these women and you can also donate to this conference by clicking the link below. On October 14th, 300 Haitian women and 35 American women will come together in Gressier, Haiti to discuss the awesome names of God. Also during this time the Haitian women will be mentored on a one-on-one basis, be involved in their community, and the goal is to minister to the Haitian women and leave them with a greater awareness of who God is and how through His power the adversity in their lives can be overcome. We are a 501 (c) 3. Donations are tax deductible. Ask your CPA for more info. If you have questions or need help with your donation, please contact us at info@haitijoyhouse.org.